Spread your wings in a sleek, open concept space. Perch on an oversized terrace with a bird’s-eye view of the city. Make your home in The Nest Condos, just a short jaunt from downtown. Located on St. Clair West in Toronto’s vibrant Hillcrest Village (829 St Clair Ave W), The Nest is the perfect place to land. The building’s unique stepped design combines the organic appeal of a bird’s nest with a distinctly geometric sensibility. 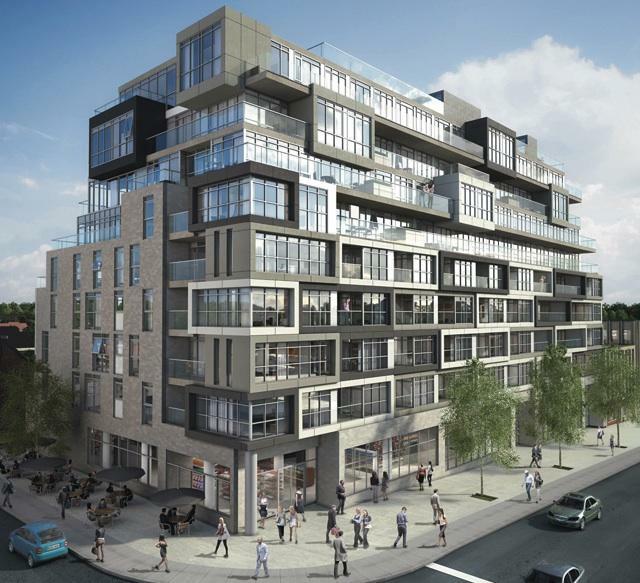 Standing only 9 storeys, this mid-rise boutique building will have 122 stunning residences. New builder incentives include up to $10,000 cash back, and a free metropass for one year. Suites range in size from 444 sq ft to 1019 sq ft, and start at $255,900.